Wouldn't you like to start 2019 in a gorgeous home in Webster Groves? This 1240 sq. ft. move-in ready home is waiting for your family to make it your own! 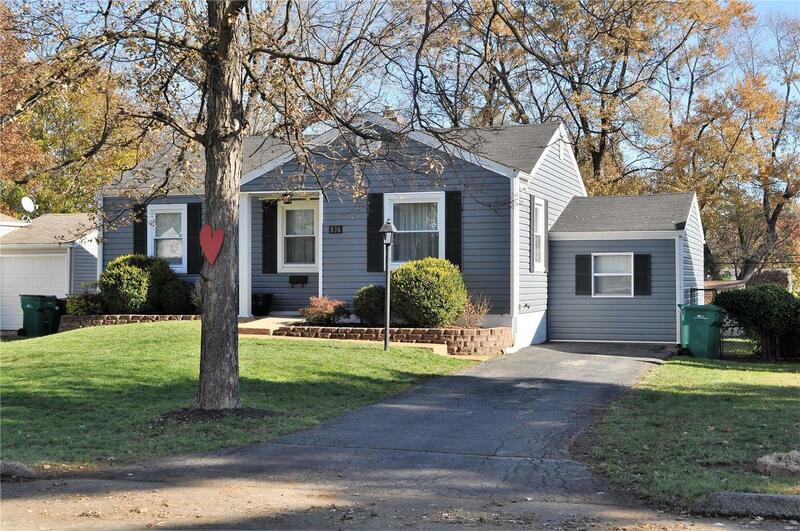 Beautiful updated 3 bedroom/2 bath ranch with new siding, gutters, bathrooms, electric, plumbing, flooring, 6-panel doors, lighting and those romantic dimmer switches. Gorgeous new kitchen includes all stainless steel appliances, new cabinetry, granite counter-tops, upper cabinet lighting and new flooring. If you don't need 3 bedrooms, current master bedroom can also be used as a guest room, media room, playroom or "man cave" equipped with its own bathroom. Sit back and enjoy the large, flat, private fenced backyard in a quiet neighborhood. Home is within walking distance to recreation center/pool, tennis courts, hockey, skateboarding and park. All stainless steel appliances, washer, dryer and a one-year home warranty included. Great location! Make your appointment today!